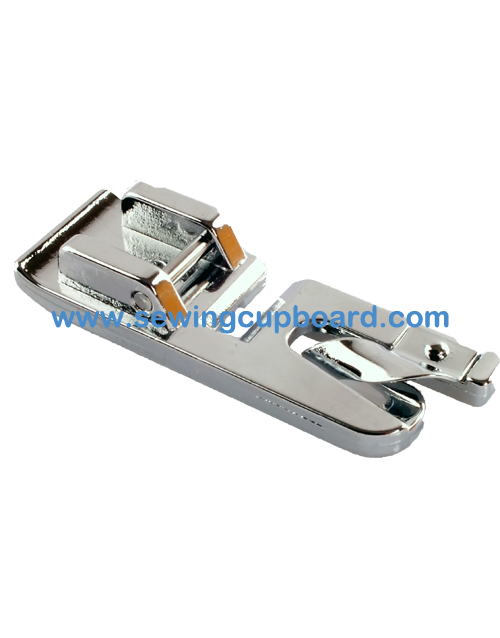 Decorative narrow hemmer foot for picot hem finishes. Picot foot looks similar to narrow hemmer foot but is designed to create a shell look edge on lightweight fabric. Grooved soleplate for picot stitch formation. Cone shaped feet channel for edge finishing.